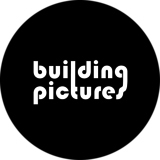 Building Pictures is a group of "architecture storytellers" - that's how they define themselves - who explore and pioneer the communication of architecture through videos. The Porto-based team - founded by the Portuguese architect Sara Nunes - aims to narrate in a comprehensible and creative way all the phases of a project, from the genesis of the design to the final construction, in order to help architecture firms, construction companies, real estate agencies and urban institutions communicate at best the stories of urban spaces they deal with. Building Pictures makes high quality presentations and architectural videos and is also involved in projects to promote Portuguese and international architecture among a wider audience, such as the 2014 competition "What is your Favorite Space?" and the video series "Arquitectura à Moda do Porto", a group of episodes started in December 2013 and produced monthly along with Filipa Figueira and Tiago Vieira to show the architecture of the most significant buildings if Porto in the last twenty years. Each episode focuses on a different element of the urban scenario.